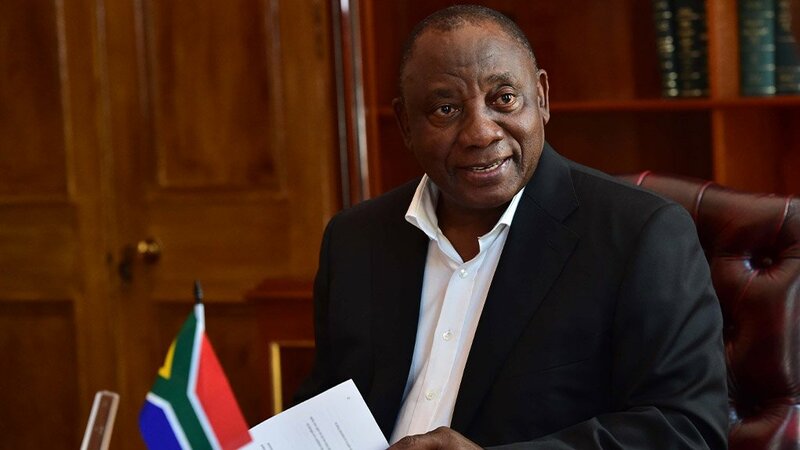 President Cyril Ramaphosa has given the ruling African National Congress (ANC) a “fighting chance" at the upcoming general elections following his State of the Nation Address (SoNA) on Thursday night. This was the view of University of Johannesburg (UJ) Associate Professor Mcebisi Ndletyana of the Pan African Institute in discussion with Polity on Friday. He said the 25th SoNA which was held without disruption this year was a clear indication of different leadership now at the helm of the ANC. “There were legitimate reasons why we had disruptions in Parliament whilst [Jacob] Zuma was in charge. It was a result of the failure of the ANC in Parliament to hold their President accountable and [because they used] their majority to prevent investigations into the President’s misdemeanor, so now you have a new leadership that is untainted by the problems that had affected former President Zuma. There was no real reason to disrupt SoNA,” said Ndletyana. President Ramaphosa told both Houses that the new National Director of Public Prosecutions (NDPP) Shamila Batohi will be getting a new unit within the National Prosecuting Authority (NPA) to investigate State capture-specific allegations of corruption. Ramaphosa said tackling corruption was crucial in dealing with poverty, unemployment and inequality. Ndletyana said the establishment of the unit was an affirmation of the seriousness with which the ANC had decided to deal with corruption. “It’s a major problem which has cost them a lot of support in the  election and they have realised that to improve their electoral fortunes they need to demonstrate, quite seriously, that they are opposed to corruption,” he said. 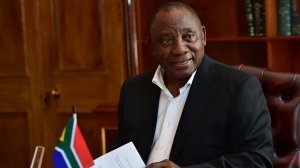 Ramaphosa confirmed on Thursday that South Africa’s embattled State-owned electricity producer would be split, under Eskom Holdings, into three separate entities – generation, transmission and distribution – in an effort to bring credibility to the turnaround of the utility and to position South Africa’s power sector for the future. Ndletyana told Polity that the move showed boldness from government on dealing decisively with the problems at the entity. “Obviously Eskom cannot continue as it is because of the problems that it has and its important in our economy – it provides electricity and the economy relies on the availability of electricity to function. It is a bold initiative and whether it works remains to be seen,” he said. Ndletyana commended Ramaphosa’s efforts prioritise the country’s economy by giving more power to the Competition Commission to make sure that big retailers do not block entry of small traders into the economy. “Those are manageable things that demonstrated that Ramaphosa’s administration is keen and quite determined to retain the economy,” he pointed out. On the Economic Freedom Fighters leader’s accusation that Ramaphosa had abandoned the ANC manifesto, Ndletyana said he was speaking as a President and he had to speak broadly on a number of things that affected the country as a whole, so that he did not regurgitate the ANC manifesto. Ndletyana said for our economy to survive, it needed a substantial injection of investment and for that to happen the business community needed to be reassured that government would address the problems facing the industry. He went on to welcome Ramaphosa’s declaration that children should attend school before they attend Grade 1 to make sure that they are better prepared for school. He also welcomed the promise to roll out tablets to schools and to fast-track the issue of sanitation facilities. Ramaphosa revealed that more than 700 000 children had accessed early childhood education in the last financial year. Improving comprehension was paramount in advancing the basic education sector, starting from foundation phase, said the President. “Turning public schools into technical schools shows a seriousness towards technical skills because the economy does need skills to grow,” Ndletyana stated. Responding to the question of how well the ANC would do at the polls, come May 8, Ndletyana said the ruling party stood a better chance under Ramaphosa’s leadership. “He is not tainted with the problem that Zuma had and after coming into office he has introduced a lot of initiatives, like clean government, the investment and jobs conferences we have had and the monies committed, appointment of the new NPA boss, the appointment of the Zondo commission and the renewed commitment and another announcement to prioritise fighting crime,” pointed out Ndletyana. He mentioned that all the evidence coming out of the Zondo commission showed that Zuma acted through the endorsement of the ANC when it came to corrupt activities. “People might be fond of Cyril Ramaphosa, but Ramaphosa works within the ANC. Do they trust that the whole ANC has changed?” he challenged. Giving his views on whether the Democratic Alliance (DA) will do well at the polls, Ndletyana said the DA was facing its toughest election since 2014 because the party had been caught up in internal fights. “We saw how they handled the Patricia de Lille issue in Cape Town, they are undecided over racial equity policies. The party has been sending mixed signals,” he said. He concluded that the DA had reached a ceiling in terms of their white supporters and for them to grow beyond where they were, they needed to break into the black constituency and that was where they had been battling.